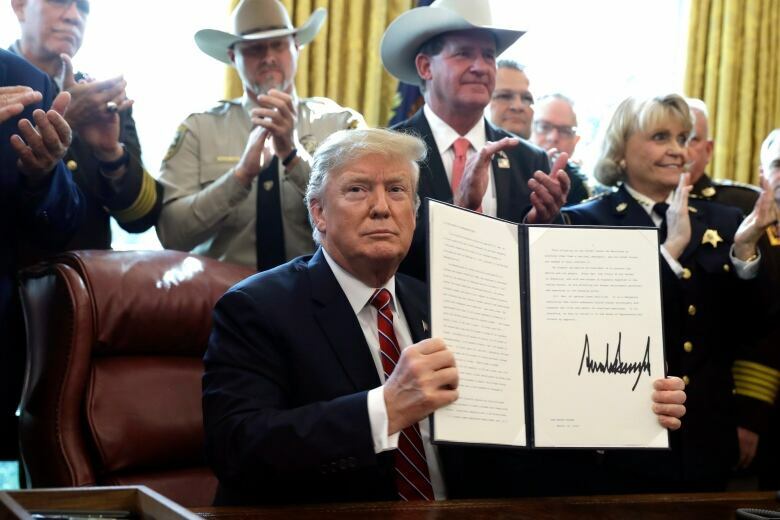 U.S. President Donald Trump issued the first veto of his presidency on Friday, overruling Congress to protect his emergency declaration for border wall funding. Flanked by law enforcement officials and the parents of children killed by people in the country illegally, Trump maintained that he is not through fighting for his signature campaign promise, which stands largely unfulfilled 18 months before voters decide whether to grant him another term. A dozen defecting Republicans joined Senate Democrats in approving the joint resolution on Thursday, which capped a week of confrontation with the White House as both parties in Congress strained to exert their power in new ways. It is unlikely that Congress will have the two-thirds majority required to override Trump’s veto, though House Democrats have suggested they would try nonetheless. Trump wants to use the emergency order to divert billions of federal dollars earmarked for defence spending toward the southern border wall. It still faces several legal challenges in federal court.